In 2002, Brouwer began these ‘Rise Up’ projects as a way to engage a broader audience in a contemporary art experience that involves them in its making. 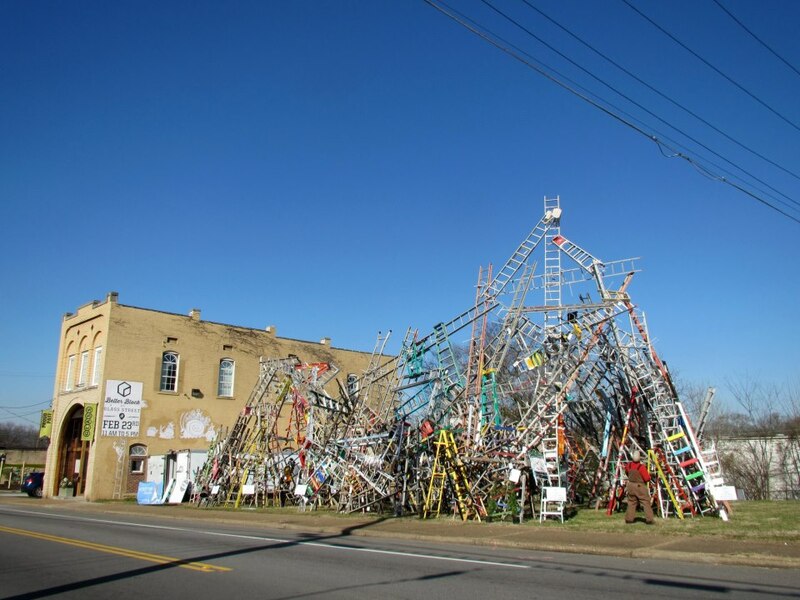 This is his 9th installation made from borrowed ladders. The Wall Breakers, Rise Up Chattanooga!